How important is color in advertising? So important that different color forecasting and research companies, such as Pantone, predict the coming year’s most popular colors. These prediction services are popular since they help companies improve their products and image. For example, color can affect how companies design their ads and can make product packaging more current and more enticing. One of the many resources we offer to business owners is an analysis of traffic patterns near their location. Knowing just how many potential customers pass by each day can help determine how much impact an electronic message center, or LED sign, could have. It goes without saying that if you’ve made the choice to purchase an LED sign, you intend for your investment to serve as a dynamic messenger for your business. 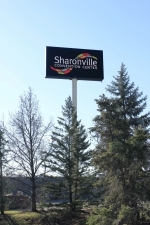 You chose an LED sign because it can get attention with timely and eye-pleasing messages. It is your 24-hour salesman, attracting attention and selling your message. The “round the clock” nature of your sign is all the more reason to tailor your messages for the benefit of your business. Older signs may need a little help when its time to "spring forward" or "fall back" so we have assembled some technical tips for signs shipped before March of 2007. If you have been out selling digital outdoor, you have most likely heard this objection. Advertisers often try to tell you that they don’t want to advertise on a digital billboard because their ads are not displayed 24/7 as they would on traditional static displays. They also may say that they don’t understand why they should be paying the same ad rates as they would for that static board.